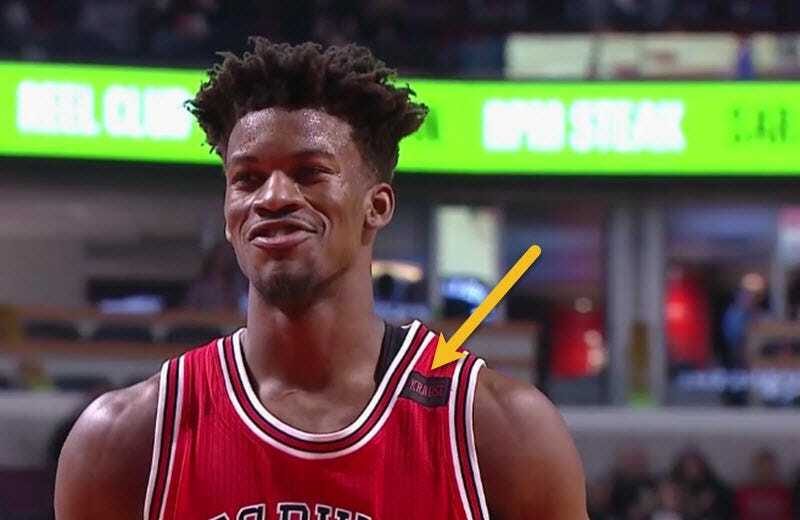 When former general manager Jerry Krause died earlier this month, the Chicago Bulls announced that they would add a memorial patch to their jerseys. 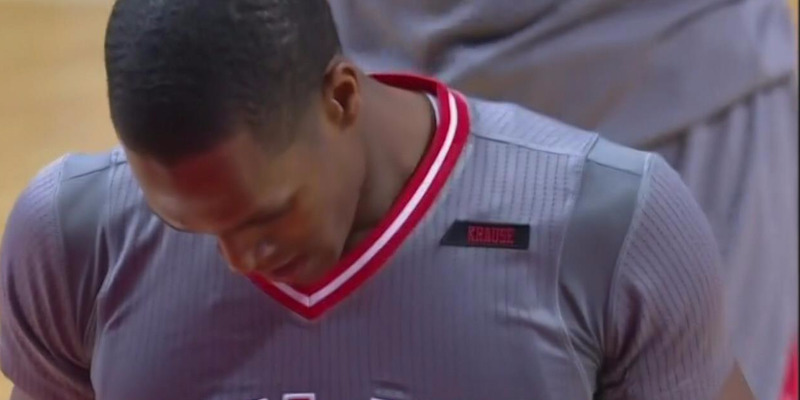 Like many NBA memorials, the patch is in the form of a band across one of the shoulder straps, with Krause’s last name written on it. The memorial hit a bit of a snag on Thursday night when the Bulls wore their alternate jersey against the Cleveland Cavaliers. Since the alternate jerseys have sleeves, there are no shoulder straps. That leaves the “band” looking strangely out of place as it just floats on the front of the jersey. It now looks more like an oddly shaped patch instead of a band. The irony of this is that black memorial bands are typically worn on sleeves and NBA teams put them on the shoulder straps because they never had sleeves in the past. Black arm bands in general have become less common in other sports as they have been replaced in recent years by more intricate patches. But here is an example of a black arm band being worn by the New York Yankees in 2007 in honour of Cory Lidle who died in a plane crash. Still, bands persist in the NBA, something that is now complicated by the addition of sleeved jerseys. The Golden State Warriors are wearing a memorial band this season, albeit in team colours instead of black, in honour of former player Nate Thurmond. So how do the Warriors handle the band when they wear their alternate jerseys? Interestingly, they just go without the memorial all together on the sleeved alternate (middle) while still using it on other alternates, such as the Christmas Day jersey (right). To further complicate matters next season, the NBA will allow teams to add an advertising patch to the front of their jerseys. This will reduce the amount of available real estate on the front for memorial patches even further. This suggests that even more teams will be forced to use memorial “bands.” But at the same time, it doesn’t seem like the sleeved jerseys are going anywhere. It will be interesting to see how teams handle the transition from traditional to sleeved jerseys, in terms of memorials, moving forward.